The Portland Trailblazers star will highlight EA Sports' basketball game. With EA Sports hard at work on improving its forthcoming NBA Live game over last year's disappointment, the company has wasted no time in bringing a cover star that provides plenty of oomph to the game: Portland Trailblazers star Damian Lillard. In the video below, you'll hear Lillard talk about what he brings to the game, as well as providing a glimpse of what basketball fans can expect from this year's release. NBA Live 15 will arrive on October 7th for Xbox One, PlayStation 4, PlayStation 3, Xbox 360 and PC. 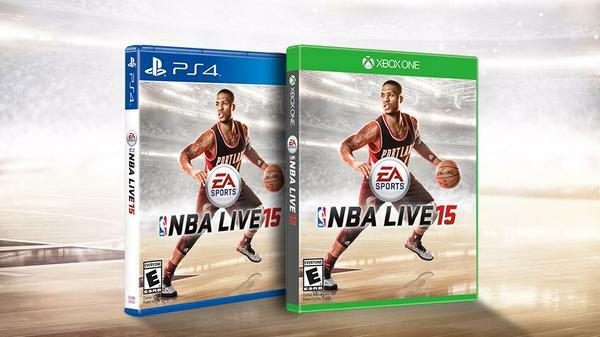 Robert Workman posted a new article, NBA Live 15 scores Damian Lillard as cover athlete.